Boys’ water polo, led by head coach David Lieberman, is diving into the pool this season. According to Lieberman, his goal for the team is to win conference and make it to state. He thinks his team is capable of this, as most of the members have been preparing by participating on the swim team and club water polo teams in the offseason. Lieberman is especially excited to see how his returning players will step up this year and lead the team to many victories. Senior Zach Bilimoria is looking forward to finishing his water polo career on a high note. According to Bilimoria, his goal is for the team to make it to the state tournament and thinks it is possible because of their strong returning players. Bilimoria says that their team will be more defense-oriented this season, which is something the team has always taken pride in. The boys’ water polo team plays at Niles West on March 19, following the Evanston Invite on March 15-16. As the spring sports season starts off, Dana Boehmer, the softball head coach, is excited to lead the athletes in another season of rigorous training. In her 16th year of coaching softball, Boehmer says she is determined to bring out the competitiveness of each of her athletes while maintaining a positive atmosphere. Senior Megan Chin says she wants the team to focus on coming together as a whole. For her last year on the team, Chin wants to pursue a stronger team dynamic while building personal relationships with teammates both on and off the field. In hopes of having a more successful season, Chin believes the team would benefit in practicing hitting and fielding, which would help them become more successful on the field. 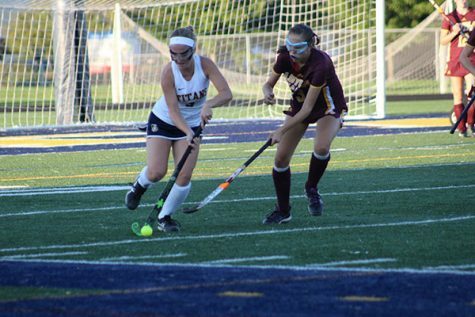 Boehmer is determined to train the girls to become more focused in competing while having a strong mindset on the field. The softball team’s first game is at home against Palatine on March 18. Coming off of a season filled with untimely injuries, the boys’ gymnastics team strives to bounce back this year, with high hopes for the upcoming season, according to senior Dante Kelekolio. However, Head Coach Brandon Tucker sees this in a more positive light, as last year’s setbacks led many of the underclassmen to work at the varsity level and understand the expectations that follow. Boys’ gymnastics is now looking at a team with incredible depth and a great work ethic, Tucker said. According to Kelekolio, everyone is working to gain new skills and, with no injuries thus far, the boys are ready for the new season. The team hopes to place top three at conference and reach their end goal of competing in state, Kelekolio says. Overall improvement is key, Tucker explains, which will be what propels the team forward towards success. The boys’ gymnastics team’s next meet will be at Maine East on March 19. After a full season of adjustment and experimenting with strategies, the girls’ water polo team has found their perfect lineup and is excited for the season ahead, according to senior Toni Zheleva. 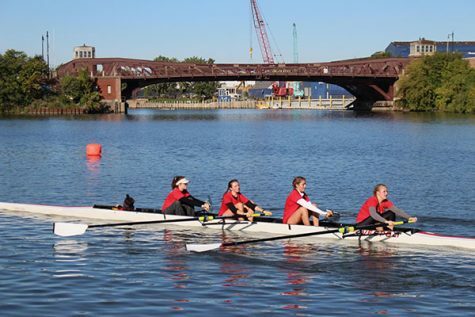 Due to having few seniors on the team last year, the girls have only had minimal changes to their lineup. 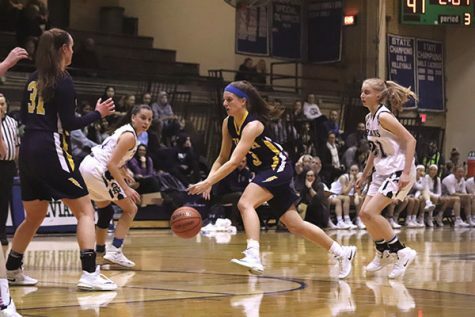 With comfort already established and immense improvement from the past season, the girls are ready to face oncoming challenges, according to Head Coach Mike Stancik. According to Zheleva, a strong mindset and sense of teamwork is what will lead them. Another focus this year is the importance of senior leadership, explains Zheleva. With only five seniors this season, Stancik is looking to foster strong leadership skills amongst them to build a positive environment for the rest of the team, Stancik says. 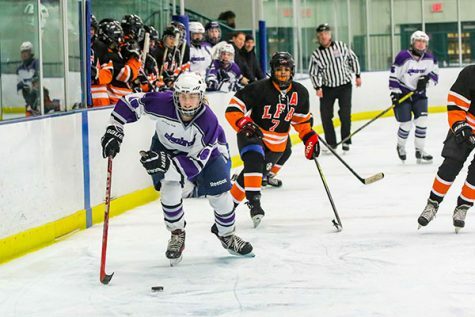 The girls face off against Niles West for their next game this season on March 19. The girls’ soccer team is ready for an exciting season with their new Head Coach Mark Daniels. With 15 returning varsity players, the experience and skill level of the team is very exciting, according to Daniels. He says that the senior class as a whole is going to carry the team and hopefully lead them to a conference win. Senior Katie Sullivan says she is very excited for her last season. Sullivan is looking forward to having Daniels as their new coach, as she remembers how much fun she had when he was her coach on the freshman team. According to Sullivan, she is most excited for the senior traditions the soccer team has, such as teepeeing houses and senior night. Sullivan believes that this team will make it pretty far in playoffs, as they have been working out and preparing during the off season. 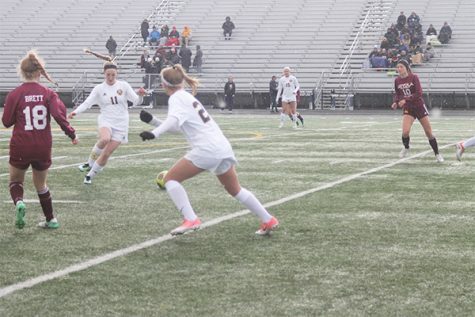 The girls’ soccer team kicks off their season at Hoffman Estates on March 20. In their upcoming season, baseball head coach Stephen Stanicek is looking for the boys to get better on the offensive side of the ball while consistently scoring runs each game. Senior Nick Mathein wants to come out with more wins this season, hoping to win conference and have a good run in the playoffs. Stanicek wants the boys to continuously work hard to accomplish goals they have had in mind for the past few seasons. This season, the baseball team’s goal is to become one of the top baseball teams in the division. Stanicek emphasizes that winning more games this season is one of their major goals, which he says can be achievable through commitment and hard work from the team. Stanicek gives credit for his ability to become a better coach to the athletes who have consistently shown their dedication to the sport. The Titan baseball team hits off their season on March 16 against Conant. The girls’ lacrosse team is heading into the season with a positive outlook, according to senior Kate Brennan. Head coach Annie Lesch is excited about this season because there are many returning players from last year’s starting lineup including seniors Greer Bireley, Delaney Gallagher, MG Reynolds, Lila Frick and Brennan. After training and open gyms throughout the offseason, Lesch is ready to see the hard work of the team pay off. Brennan says the team will be able to utilize girls in different spots this season, which will lead the team to more victories. One goal Lesch has for the team this season is to beat New Trier, especially if they end up in the same sectional as GBS. Brennan believes this is the year that the team can go far, and she’s looking forward to seeing how strong the team becomes. The girls’ lacrosse team’s next game is March 19 against Lyons Township out on the turf. The girls’ track team ended their season placing 1st in indoor conference, beating New Trier, and placed 2nd in outdoor conference. In order to prepare for another successful season, senior co-captain Catherine Nowak stresses the importance of team unity and team spirit. As captain, Nowak says she looks forward to mentoring her teammates to help them grow and improve. Head Coach Daniel Zapler also emphasizes process goals as opposed to product goals. He says he is looking to junior Raelyn Roberson, who placed 2nd in state in the long jump last season, as well as junior Kate Jortberg and senior Taylor Ozimek to help lead the team. 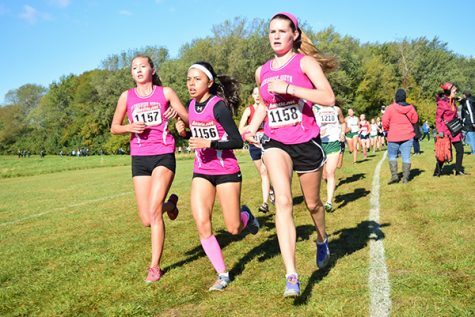 The girls’ track team hopes to finish off their indoor season strong and place top three in conference while also getting some people to sectionals and state, Nowak says. The girls will compete next on March 18 at home for the Titan Quad. Last spring, the boys’ tennis team finished their season sixth in state, and this year they hope to perform similarly, according to Head Coach Larry Faulkner. Made up of five returning sophomore players and two seniors, Michael Bukhalo and Tommy Frankiewicz, the team is young, but is likely to perform well, Faulkner says. Along with the returning athletes, Faulkner says there are many incoming players who have improved immensely and will give the team more depth. Frankiewicz says he wants to focus on the team’s chemistry, which can help them to play better, especially in doubles, where working as a team is key. Additionally, Faulkner says he will be looking to improve doubles strategy and build strong doubles teams. Overall, Faulkner is hopeful for the season ahead due to the team’s depth and experienced players. The boys’ first tournament is at Rolling Meadows on March 30. Coming back from a season with a record of 14-4, the boys’ lacrosse team surpassed expectations, according to Head Coach William Jeffery. Jeffery has many goals for this season, including developing leaders and creating mature players. According to senior Harry Panagakis, last year’s season was one of their best in terms of record during his high school lacrosse career. Panagakis hopes that, along with last year’s goal, the team could have another strong record and get a good spot in the playoffs. In order for the team to reach this goal, Panagakis hopes to incorporate the many young players and create a close bond with all the team members. This season, the team is made up of many younger players. As a captain, Panagakis hopes that they can create a close bond with all the team members. The team’s first home game is on March 29 against Washington. Following one of the most successful seasons in South badminton history, the 2019 badminton team brings back a team stronger than ever for the upcoming season, according to senior captain Rhea Shah. Last year, the team was undefeated in its conference, won their conference tournament and sectional, and followed through by qualifying players for all six spots at the state championship, says Shah. Having repeatedly qualified for state over the past few years, the team is now looking to continue their success in qualifying players for all spots at state once again this year, according to Shah. Shah also explains how the team is hoping to maintain their high record as they have done in previous years. 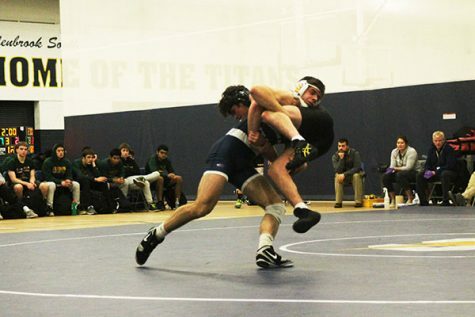 The team’s next home match is on April 2 versus Evanston in the dome. The boys’ volleyball team looks to have strong senior leadership this year, according to Head Coach Timothy Monahan. Monahan says the team will have seven seniors, some of which have been on varsity since their freshman year. Senior Thomas Cavallaro says the team will be different than last year due to the strong seniors such as seniors Jack Shampine, Conor Mitchell and Joey Masloski. Some goals Monahan has for his team are to improve and to play in the sectional. The boys have been putting in the time and effort for the season and are ready to compete, according to Monahan. Cavallaro wants to make the most out of his last year playing GBS volleyball. His goal for the team is to win state this year, and he believes the team can do it. 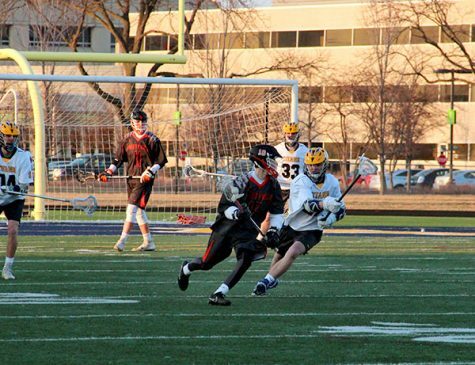 The team has their first game of the season on March 18 at Elk Grove Village. Boys’ track is running into the new season led by Head Coach Kurt Hasenstein. According to Hasenstein, the team has been preparing in the off season by running cross country or weight lifting. Also, their indoor track season prepares them for the spring and allows for the coaches to see who stands out as a possible captain for the rest of their season. 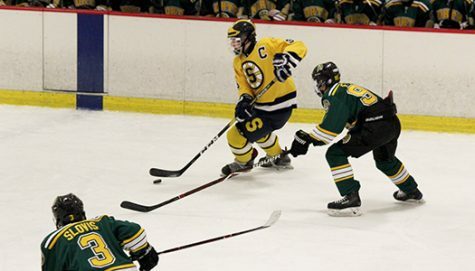 In addition, senior Michael Zimmerman is looking forward to his last season at GBS. According to Zimmerman, his goal is to qualify for state for high jump. He is hopeful that his team will perform well at conference, and that many runners will move onto sectionals and possibly farther. He also believes that this season, GBS will be stronger in their field events, as many strong distance runners graduated last year. The boys compete at Palatine on March 20.